The foodie’s guide to cannabis: a smart, sophisticated, and beautifully illustrated cookbook for at-home chefs wanting to safely create and experience their own edibles. 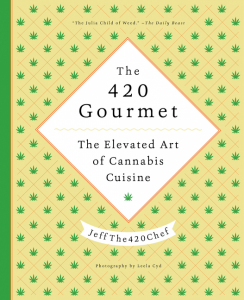 JeffThe420Chef started cooking and baking discreetly with cannabis for friends and celebrities who had medical issues ranging from insomnia to back pain to cancer. 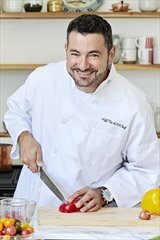 He now teaches his canna-butter class, “The Art of Cooking with Marijuana,” across the country in medical and recreational states, and cooks for private parties in California, Colorado, Oregon, Washington, Alaska, and Washington, DC. He lives in Los Angeles. Follow his blog at jeffthe420chef.com, and connect with him on Facebook, Twitter, and Instagram.